The aim of Cantina Valle Tritana is to select and market products both of quality and favorable price, and it starts out with Montepulciano wine from the Abruzzo region. The Tritana Valley is located right in the heart of the Abruzzo region. The surrounding area of the Tritana Valley has a special microclimate with warm days and cold nights. The considerable temperature difference between night and day, together with the favorable windy nature of the territory ensure a perfect microclimate for the growing grapes of an extraordinary quality. The Montepulciano varietal has been cultivated in the area since ancient times and it still is an important part of the regional agricultural economy. The vineyards have been passed down from generation to generation and have been cared for with love and passion for decades. These family owned properties create a mosaic of small vineyards stretching north to south along the Adriatic coast and east to west form the sea to Majella Mountain. There is a unique climate condition in this territory. When the warm wind blowing from the Adriatic Sea meets the cool air coming down from the mountains, the temperature drops blowing a cooling wind through the valleys to the sea. The provided the perfect climate to vine development. Wine making process from vineyard too bottle by world renowned enologist Riccardo Cotarella. 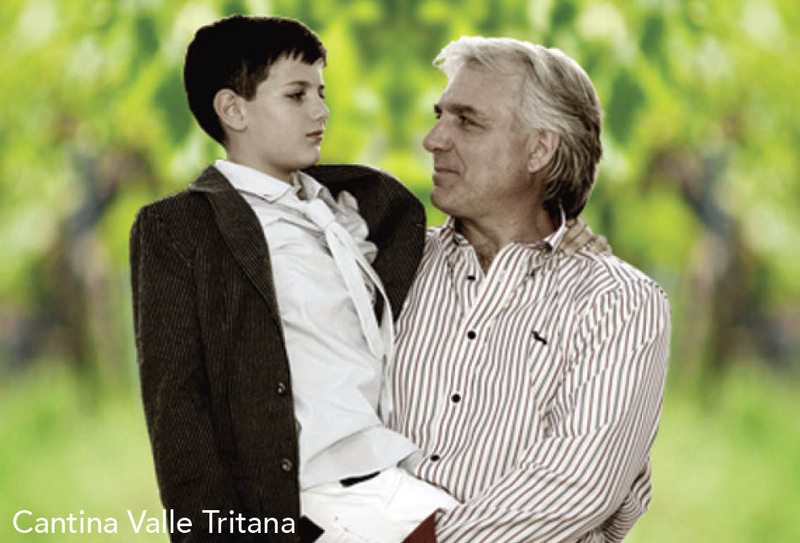 Valle Reale was founded in 2000 with the goal of producing world-class wines. Working primarily with the Montepulciano varietal, the Pizzolo family strives to make wines that highlight the grape’s intrinsic qualities; strength, exuberance, vitality, color, elegance, balance, and depth. This process begins with the careful selection of clones that are best suited to Valle Reale’s soil and climate. Their success is evident in the young, vibrant DOC base wine, and even more so in the cur, a new benchmark for Montepulciano d’Abruzzo. 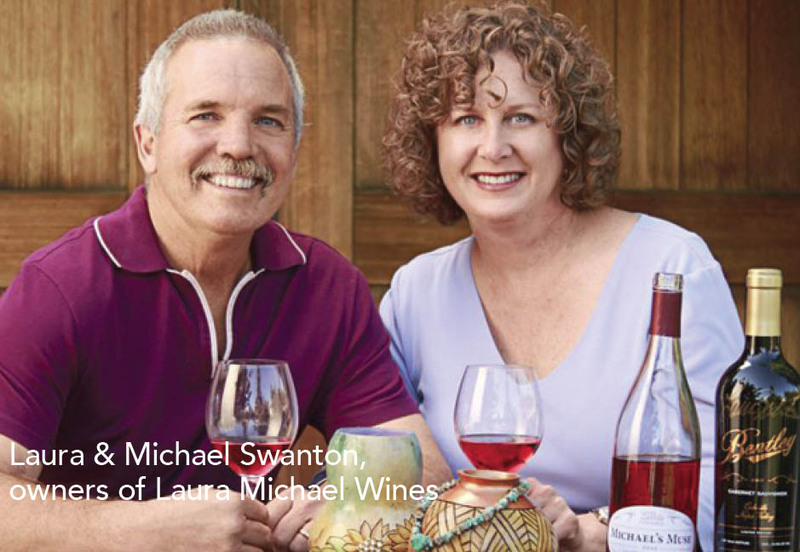 At Laura Michael Wines, wines are handcrafted in limited quantities with grapes sourced from some of California’s most celebrated winegrowing estates. The goal is exceptional Cabernet Sauvignon and Zinfandel that reflects the rich history and character of the region. Laura Michael Wines’ winemaking style is inspired by a passion for creating wines as a complement to food that is shared around the table with family and friends. The winery crafts premium wines with a gentle approach that preserves the intense flavor and expansive character of the high-quality fruit. The winegrowing philosophy is to emphasize whatever the grapes give us – s consistency is key—and that consistency begins in the vineyards. The winery is certified as a Napa Green Winery. We take pride in our sustainable practices. Composting of all of our winery solids, recycling as much paper, glass, corks, plastic and metal as possible, use of LED lighting and fermentation tank insulation has added a great deal of economy to our winery in addition to being much more gentle to our soil and property. We continue to be dedicated to using best practices to lighten our carbon footprint and lessen our impact on the environment. Deep ruby red color. The bouquet on the nose is intense, clean and pleasant with fresh faromas of black cherry, black berry, plum and violet. On the palate it is well- balanced with agreeable tannins, good body and intense flavors. Ideal with flavorful pastas, pizzas, mature cheeses, grills and roasts, mushrooms (white and black truffles). Straw yellow color with greenish reflections. Intense nose of ripe tropical fruits, yellow flowers and hints of spice. On the palate it is pleasantly dry, well- balanced, with a good structure, a nice mineraly and a long elegant flowery finish. Pairs well with light appetizers, fish courses, charcuterie and mild cheeses. Ruby-red in color, tis wine is surprisingly concentrated. With silky tannins and layers of dark berry fruit and spices, this is a rich and aromatic Montepulciano d’Abruzzo. Full-bodied and firm, yet supple. Pair with hearty pasta dishes, roasted poultry or lamb, and slow cooked ribs. Deep purple with ruby reflections. A perfect balance between bright sour cherry and wild berries with hints of pepper and spice, all held together by elegant tannins and palate-cleansing acidity. Pair with braised meats, grilled vegetables, hardy pastas, or sharp cheeses. Pale yellow in color, has an unctuous and almost waxy texture on the palate. Aromatically, the wine recalls the mineral sensation of wet stone, honeysuckle, and hay. Pair with fusilli with roasted cauliflower, pine nuts and raisins, or Veal. Deep ruby-red in color. San Calisto offers layered aromas of ripe blackberries and crushed black cherries, followed by spicy notes of cassis, leather, and Mediterranean wildflowers. On the palate its firm structure is elegantly softened by its silky, rich mouthfeel. Pair with barbecued ribs, fresh berry coulis, mint-roasted lamb shank, or steak au poivre. Deep ruby red in color, this wine offers layered aromas of ripe blackberries and crushed black cherries followed by spicy nots of cassis, leather and wildflowers. On the palate, its firm structure is elegantly softened by its silky, rich mouthfeel. Pair with sharp cheeses, barbecued ribs, lamb, filet mignon or steak au poivre. Abruzzo has its fair share of art and architecture throughout its hill towns and mountain villages, but the Apennine Mountains dominate the region. The vast Parco Nazionale d’Abruzzo is one of Europe’s most important nature preserves. Descendants of various hill tribes, who settled the region in the Bronze Age, were difficult to unite, although the Greeks, Romans, Swabians, Aragonese, and Bourbons all tried. After the 12th Century, the Abruzzesi were ruled by a succession of dynasties based in Naples. As a result, their diet, speech, and customs are similar to their southern neighbors. The hills in the region are highly favorable for grapevines. 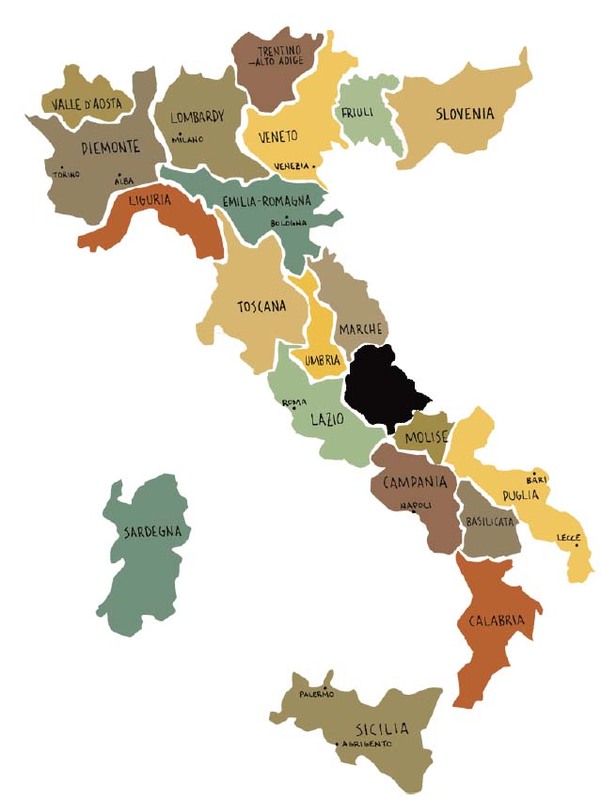 The two classified wines are Trebbiano and Montepulciano, not to be confused with the town of that name in Toscana, where Vino Nobile is made. When grown on the lower hills, Montepulciano has an irresistible character, full bodied and smooth with the capacity to age. In the higher areas, the vines produce a lighter version, Cerasuolo, which is a sturdy, cherry-colored Rosé. At its best, Trebbiano d’Abruzzo develops a Burgundy-like complexity after four or five years of aging. This delightful dry rose is made from the primary zinfandels produced at the winery. With a delicate, pink hue and a touch of strawberry on the nose, the light style makes a perfect complement to the beach, pool. Pair with beet hummus, bruschetta, crab Rangoon. Flavors of juicy cherry and plum accented by a bouquet of cinnamon candy and pipe tobacco. Grown in a vineyard planted in 1947, the plants continue to produce fantastic fruit and supply us with the classic Dry Creek characteristics of spice, depth and delicious flavor. Pair with your favorite grilled fare. A touch of citrus and green apple really show through on the nose and on the palate. Light straw in color, we opted to produce and age this wine in entirely stainless steel. With a nice little tart pop, this wine will pair very nicely with a bit of cheese, or your favorite shellfish! This wine was aged in American oak barrels for 19 months. First aromas of this wine bring to mind spicy clove. This wine is dense and highly fruity-tannins are well integrated and add a long finish. Pairs with roasted poultry, rich pasta, and aged cheeses. The color profile is a deep ruby red while the nose is dominated by dark ripe fruits with a hint of cedar. Bing and dark cherry frame the palate. Full bodied with rich, chewy tannins that will open up with decanting to drink now or will age well in your cellar. Decant now or drink by 2030. Full bodied with a very floral nose, this wine exudes the characteristics of Oakville AVA. Deep ruby in color, fine structure for aging and extremely limited production. Pair with blue cheese burger, lamb shanks, gorgonzola sauce, or a hearty beef stew. Dusty characteristics predominate on the palate with supple tannins framing the bold style of this wine. Red fruit bursts on the glass offering a subtle vanilla note from the French Oak barrels used to age the wine. Pair with beef, lamb, aged cheese. Napa Valley is the heart of California’s wine industry, its vine-covered valley floor and rolling hills the destination for millions of visitors each year. The Valley is home to 43,000 acres of vines, over 400 wineries, and many renowned restaurants. George Calvert Yount, arriving in 1831, planted the first grapes. Notable early but still existing stone wineries, developed between 1859 and 1882, including Charles Krug, Christian Brothers, Beringer, Chateau Montelena, and Beaulieu. Formerly a sanatorium, Inglenook winery began production in 1880. San Franciscans provided a huge market for Napa wines, which were easily transported across the San Francisco Bay. But Prohibition, enacted in 1920, closed most of them, except the few that provided sacramental wine for churches. The Valley didn’t begin recovery until Robert Mondavi built his large winery in 1966. 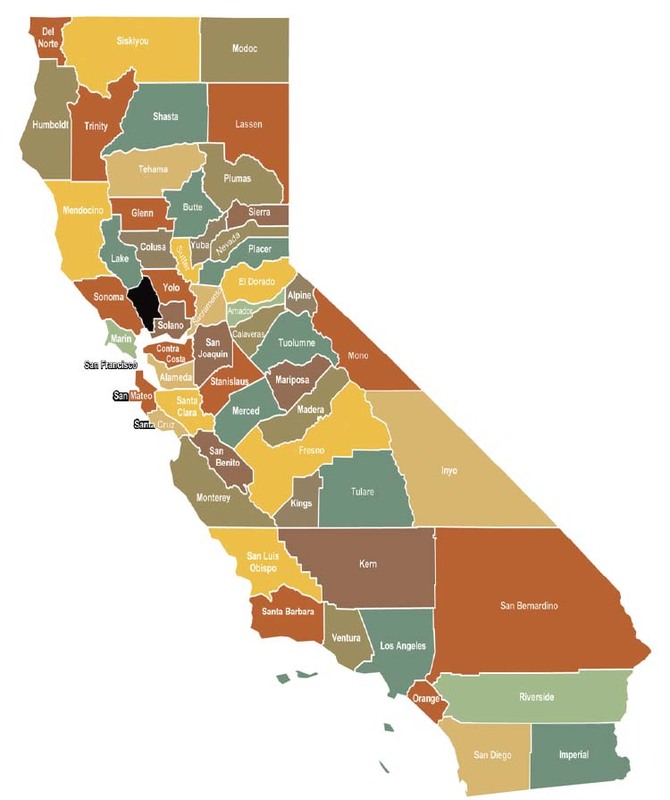 Today, the Napa Valley has 16 American Viticultural Areas. The umbrella appellation Napa Valley, specializes in Bordeaux grape varieties such as Cabernet Sauvignon, Merlot, and Sauvignon Blanc. Cooler Los Carneros, stretching into Sonoma County, is ideal for the grapes of Burgundy, including Pinot Noir and Chardonnay. But other grape varieties, such as Zinfandel, Petite Sirah, and Italian Sangiovese are planted in Napa County. Combine 1 cup flour, yeast, sugar, salt in a large bowl. Stir in oil and water, mixing well. Gradually add 2 cups more flour until you have a soft dough. Knead 305 minutes. Divide dough into 8 parts. Roll each into ¼” thick rectangle, and place 2 slices of each meat and cheese in overlapping pattern. Roll up, beginning at the short end. Place seam side down on lightly oiled baking sheet. Brush tops with beaten egg, basil, grated cheese (optional). Bake at 375 degrees for 25 min. or until golden brown. Crumble bacon. Toss with spinach, apple, and onions in salad bowl. In small bowl, whisk together vinegar, sugar, mustard, salt, and pepper. Whisk in oil until blended. Just before serving add dressing, toss well, and add nuts.